The Marquis of Whisinford and his friend Lord Alfred Middleton meet at White’s Club and tell each other how bored they are with the London Season and the same parties with the same people night after night. They commiserate with each other for finding life so repetitive where nothing new ever happens. Listening to them, the old Duke of Dunstead tells them that he has a solution to their problem and so he bets one of his well bred horses against one of theirs that, if they go out disguised as ordinary men, they will undoubtedly find an adventure of some kind on the open road. Because it is a bet and betting at White’s is traditional, the Marquis agrees to ride North as far as Northumberland disguised as an ordinary man, while Lord Alfred is to go South to Land’s End. The Marquis sets off alone, his only possessions being what he can carry on his horse, Samson, using the name of Neil Barlow. But he has not gone very far when a very pretty girl joins him on the road in a state of agitation and asks him if he will be kind enough to allow her to ride beside him. She explains that she is running away from her stepfather who is forcing her into marriage with a man she loathes and detests. 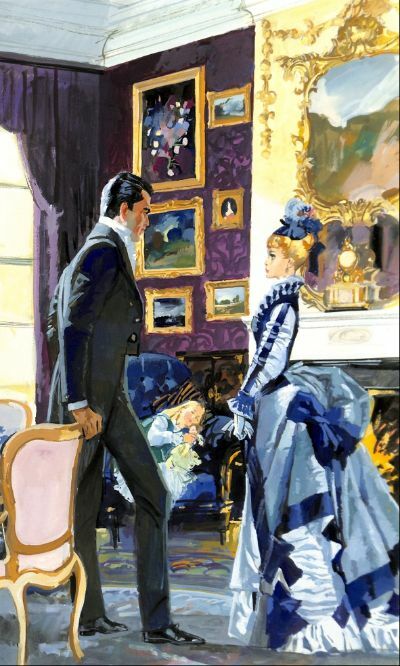 She tells the Marquis that her name is Velina, but does not say anymore and he tells her only his Christian name and they ride on until they reach what appears to be a quiet inn. After dinner, when the Marquis goes out to see if their horses are happy, he overhears three men talking and learns that they have been sent by Velina’s stepfather to kidnap her and take her forcibly back to her home. The Marquis alerts Velina and they slip away at four o’clock in the morning before anyone else is awake and it is then that the Marquis suggests that they should stay off the main road and travel North by the twisting lanes of England. How they encounter even more dramas than they have already. How they rescue a small boy and his dog from a cruel drunkard. How eventually Velina saves the Marquis’s horse and him from a highwayman and how they find even more on a road to romance, is all told in this exciting story by BARBARA CARTLAND.